This silhouette is the one we never knew we needed. Everyone loves a hybrid silhouette, and the Nike Air VaporMax Plus is arguably at the top of a lot of people’s lists. 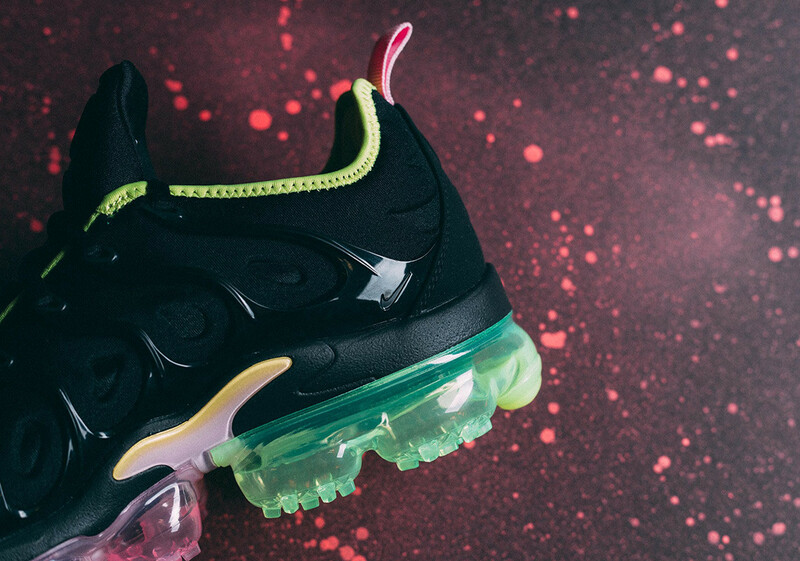 This futuristic and edgy sneaker comes with the TN Air Max Plus upper and the legendary Air VaporMax lower. On this particular silhouette, black takes over the majority. 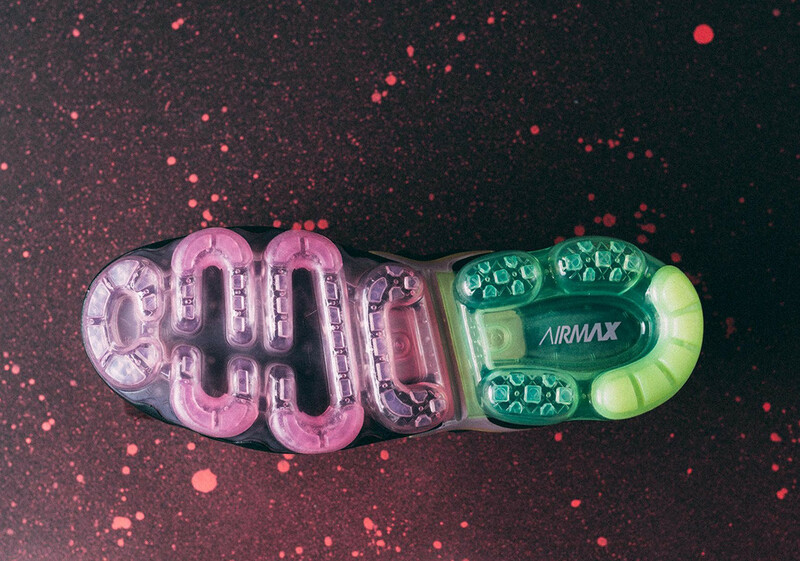 A neoprene-like upper will be keeping you flexing all day while your feet will have all the breathability they’ll need while the iconic Tuned waves keep your feet locked in. 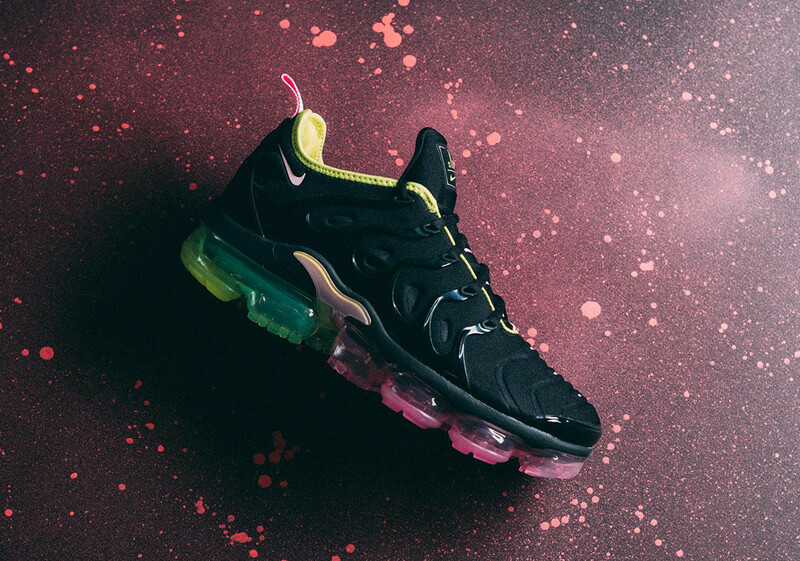 The waves come in the usual black patent style, while the rest of the Air VaporMax Plus shows off an array of tropical colours. Inside the sneaker, yellow colouring brightens it from the inside out, visible down the outside of the lace unit in an outline style. Below foot, bright yellow detailing merges into green, moving forward into a bubblegum pink for the front half. This effect is impressive from the side yet even more attractive from underneath, where you can see the full colour palette as a whole. 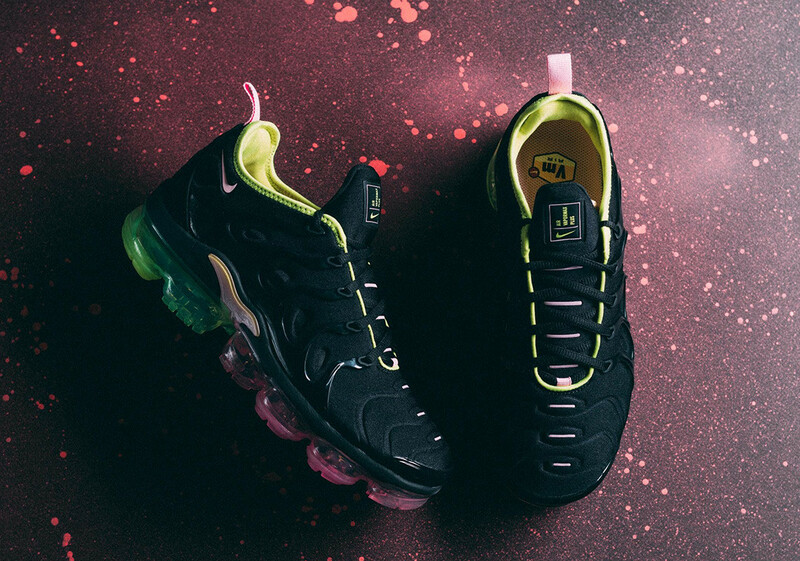 The Nike Air VaporMax Plus Black/Pink Rise is available in the USA right now, and we anticipate it to get a wider release within the coming month or two. Stay tuned to The Sole Womens in the meantime for all your daily sneaker news, style guides and releases!